I hope this note finds everyone well rested and ready to start another school year. I’d like to take the time to answer a few common questions. Seattle born – Reno raised, I am a single mom to three dynamic daughters: Senior Ingrid, Bellarmine University Freshman Gabrielle, and UMSL Junior Veronica Miller who started her college career at Alaska Pacific University in Anchorage. Not only did Veronica return home with exciting tales of Alaskan adventures, but also with a new husband, Brandon. And to add to this excitement, Brandon brought with him his daughter, Madison, sending me into my “Oma” years. I started my teaching career in 1991 in the Dunklin School District where I remained until 2000. At that time, I moved with my former husband and children to Sydney, Australia to live an adventure. Upon returning at the end of 2004, I worked briefly at Festus before landing here at Windsor. 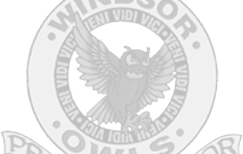 Entering my 8th year at Windsor, I am still very proud to call myself an Owl! It is my personal education philosophy to help your child become a well-rounded, educated person. I have absolutely no interest in turning out students who simply “know things.” Because of this, my expectations are VERY HIGH! In the beginning, this may be difficult for many students to accept – they will adjust! They always do. They will always know before hand what is expected, and that I am there to help them not only meet those expectations, but to exceed them! I want them talking to you not about what they learned in Science, but how that information applies to them and their world. Don’t just ask “What did you learn today?” Also, ask “Why is that important?” The more personal connections they can make to their learning, the more learning will take place! Summative is not another term for test. A test is only one type of summative. A summative is any means used to measure to what degree learning has occurred. Other than tests, summatives may include: Scientific drawings, projects, activities, lab reports, graphs, and many many more. Any summative will be given after the learning has happened. For written exams, I do not use study guides, unless mandated. I prefer “Tested Concepts” sheet that lists specific concepts, guidelines for providing a complete answer or what I will be looking for when assessing what each child has learned. These concept sheets will be passed out approximately 3-5 days prior to the written exam. We will then go through and gauge what concepts we are comfortable as a class, and where we need to focus are discussed in class. From this we will review and relearn in the days leading up to the exam. On the day before the exam, students will work in study groups with practice questions. These sheets will be posted to this web page. With this in mind, being absent the day before an exam does not disqualify a student from taking the exam. If multiple days are missed, I will conference with the student to see if they are ready or if they need an alternate test date. What supplies will my child need for Science? Single Subject Notebook w/ 8 1/2 x 11 pages. The pages are the same exact size as copy paper. Because I do not have a text book for each child, we create our own textbook in these notebook. Transparent tape – to adhere pages into notebook are a plus but not required. Students will have glue sticks availabe. Bound Composition Book. Vocabulary will be kept here, so it may be referenced and assessed throughout the year. Pencils. The work that is required includes data recording, scientific drawings and graphing. Because standards are exceptionally high, many revisions will be made. Pen will not work. What is the best way to stay informed as to what is happening in Science class? Please use the parent portal on SIS to locate your child’s practice work explanations, exam dates, and project deadlines. Hopefully, many of your questions can be answered here, saving you and your student valuable time. Email is generally best as I am able to access email more frequently than voicemail. I generally try to answer morning e-mails by lunch and afternoon emails by end of school day. However, please understand that not every day allows me to get to messages before my 8th hour prep period. To reach me by telephone, dial 636-464-4401. Follow voice prompts (press 2 to leave a message). Enter mailbox number 4903. If you choose to call, please leave an email address, as it is the easiest format for me to contact you. I am available by phone between 7:10-7:25am and 1:45-2:30pm. The more communication we have, the better I am able to serve your child. I am looking forward to starting a new school year and working together to further your child’s interest and understanding of the science that surrounds us.